Want a rich and creamy yet super easy recipe for seafood? This one is absolutely delicious! It can be served in a puff pastry (traditional) or with rice, fettuccine or mashed potatoes. I recently made it with leftover lobster (one of the joys of living on Deer Isle, Maine) and shrimp but don’t let this limit you. It’s great with one of the seafoods (lobster, shrimp or scallops) or any mixture therein. 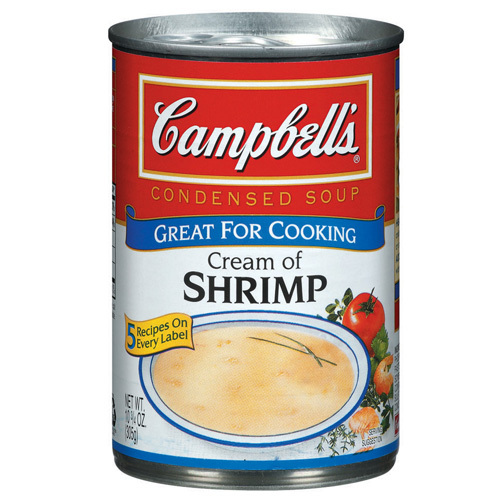 The key to this dish that is fancy enough for a special occasion and simple enough for a family meal is Campbell’s Cream of Shrimp Soup. Before food snobs turn up their noses, I urge you to give it a try. You will be glad you did! In a skillet cook the minced garlic in butter for a minute on a medium-high flame. Add the seafood and cook for 2 minutes. Stir in the soup, sherry, and seafood seasoning. Add the cream cheese and continue stirring until well blended. Reduce the heat to low and cook for another 3-4 minutes. Serve and enjoy! 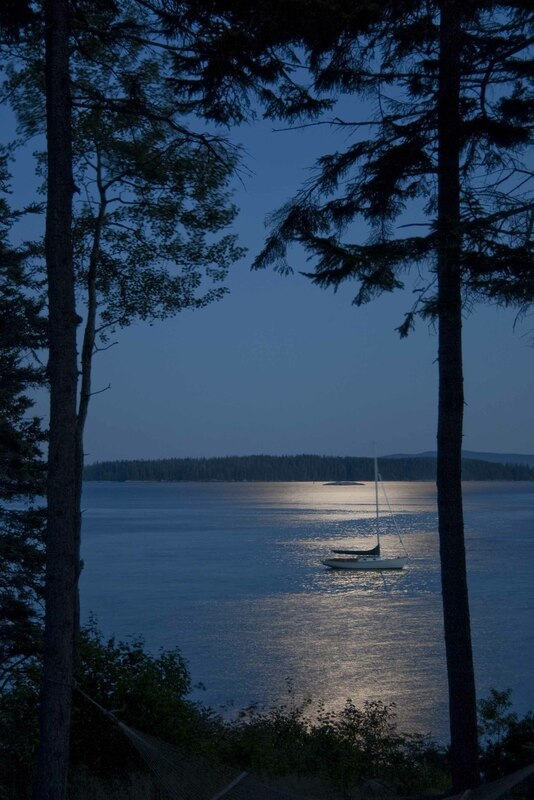 This entry was posted in Bob Wilson Photos, Recipes, Things to Do in Downeast Maine and tagged beach vacation, Coastal Maine, deer isle, Deer Isle real estate, Downeast Maine, easy recipe, Lobster, lobster newburg, recipe, recipe for, scallops, scallops newburg, seafood, seafood recipe, Shrimp, shrimp newburg. Bookmark the permalink. Oh yum! will definitely give this one a try! Yum, may have to give this a try one of these days. Nothing wrong with using Campbell’s soups in recipes. I love to use cream of whatever in my slow cooker when doing a roast, along with a package of Lipton’s onion soup mix. Campbell’s used to have a cream of onion soup that was perfect for that. I love cooking pork chops in Campbell’s Golden Mushroom soup. Serve with garlic mashed potatoes and you have a feast! This was really great! I substituted cream of mushroom in the place of the cream of shrimp though. YUM YUM!!! !